Just a small note to say thank you ever so much for surprising me with my very own Wallace Bagpipes – so happy that I have a set of pipes that are mine and they even have my name engraved on them! I cannot thank Craig and his team enough for this surprise plus my Mum, Dad, Gran and finally Dougie from the Red Hot Chilli Pipers who presented the surprise to me during our lesson, it was the best night ever! 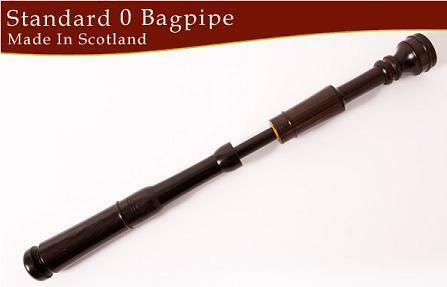 We are delighted to announce the launch of our new Wallace Standard 0 Bagpipe to the market. and this is why plastic bagpipes have become popular. Blackwood Bagpipes but at a price that will compete with plastic bagpipes. This has led to the development of the Wallace Standard 0 African Blackwood Bagpipe. being fitted after the bell is completed. 5'- 7" to 5'- 8"
5'- 9" to 5'- 10"
5'- 11" to 6'- 0"
6'- 1" to 6'- 4"